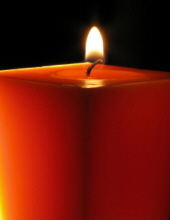 Tommy Martin Gibson, age 68, of Beckemeyer, IL passed away Friday, April 5, 2019 at St. John’s Hospital in Springfield, IL. A memorial service will be held at a later date. Memorial contributions are suggested to his family. Tommy was born May 25, 1950 in Nashville, TN to William Martin and Helen Jean (Robertson) Gibson. He married Mary Sue Kutz on November 23, 2016 in Carlyle, IL. She survives. He grew up in Nashville, TN and moved to this area in his teens. He had lived in Belleville, IL, and Highland, IL. He was currently living in Beckemeyer, IL. He had worked out of Operating Engineers Local 520 and had also done home siding work. He had had also previously operated what is now The Smokehouse in Pierron, IL. To send flowers or a remembrance gift to the family of Tommy Martin Gibson, please visit our Tribute Store. "Email Address" would like to share the life celebration of Tommy Martin Gibson. Click on the "link" to go to share a favorite memory or leave a condolence message for the family.